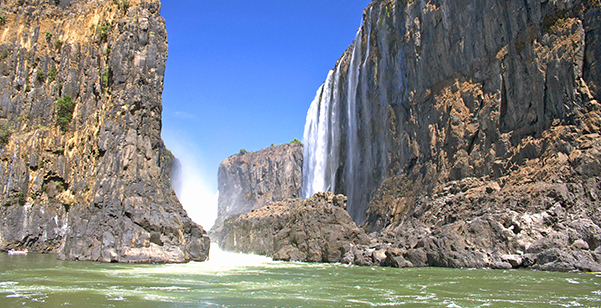 On this tour you will travel to Victoria Falls where you will take a guided walking tour, and a sunset cruise on the upper Zambezi River. Then you will visit Hwange National Park where you will participate in nature activities including game walks and game drives in 4x4 vehicles. On day 5 you will fly in a light aircraft to your lodge on the shores of Lake Kariba where you will explore all the ways of game viewing from walks, horseback rides, and boat trips on the lake, to fishing for the famous tiger fish or bream. 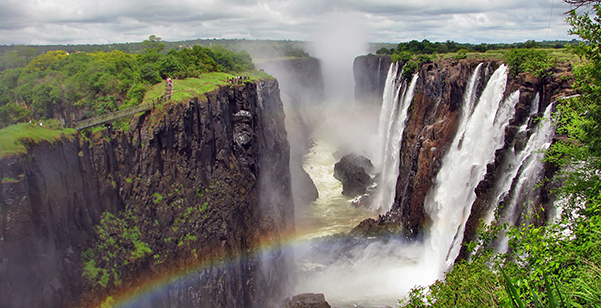 Fly from Johannesburg to Victoria Falls or Mosi oa Tunya meaning smoke that thunders, where you will meet with the local tour representative who will help you transfer to your hotel. In flight meal included. 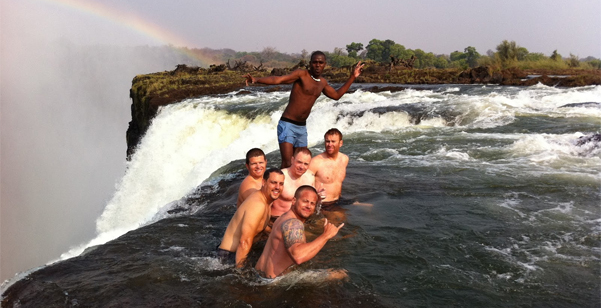 Overnight in Victoria Falls. 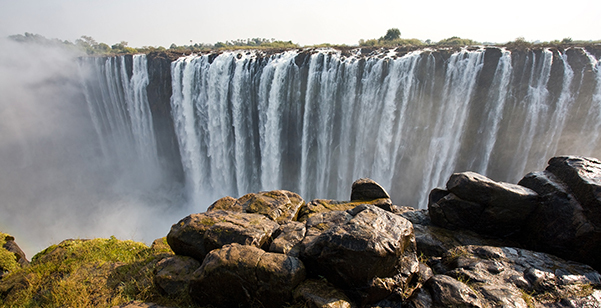 In the morning take a guided walking tour of Victoria Falls, the largest falls in the world. 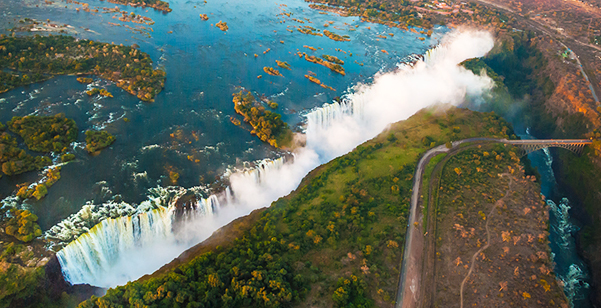 Dr. David Livingston, the Scottish missionary was the first European to see the falls November 17, 1855, on his missionary journey on the upper Zambezi River and he was so struck with it's beauty that he gave the falls an English name in honour of his queen, Queen Victoria. 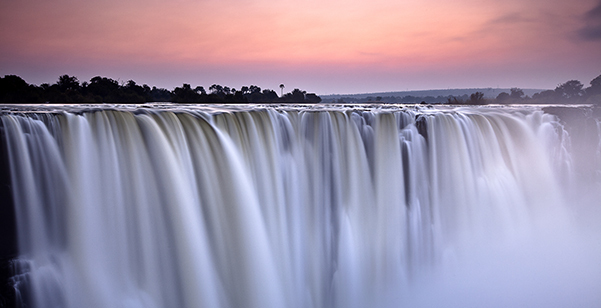 It is twice as high as Niagara Falls and more than twice the width of the Horseshoe Falls, only to be rivalled by South American's Iguazu Falls. 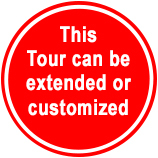 In the afternoon, look forward to a sunset cruise on the upper Zambezi River. Breakfast and dinner included. Overnight in Victoria Falls. 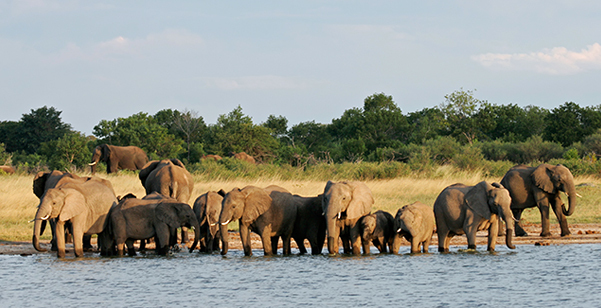 Enjoy the sights and game viewing as you transfer an hour south to your lodge in Hwange National Park, Zimbabwe's largest game reserve, where all of the nation's protected animals are found including the gemsbok and brown hyena. It is also known for it's growing elephant population and one of the largest surviving groups in Africa of African wild dogs. Breakfast, lunch and dinner included. Overnight in Hwange. 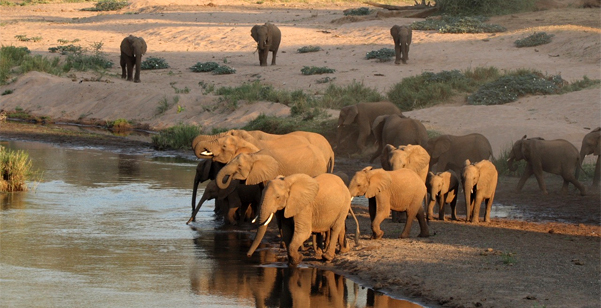 Originally royal hunting grounds for a Ndebele warrior king, Hwange was dedicated as a national park in 1929. Here you can participate in nature activities including game walks and game drives in 4x4 vehicles to see the tremendous variety of mammals and birds. 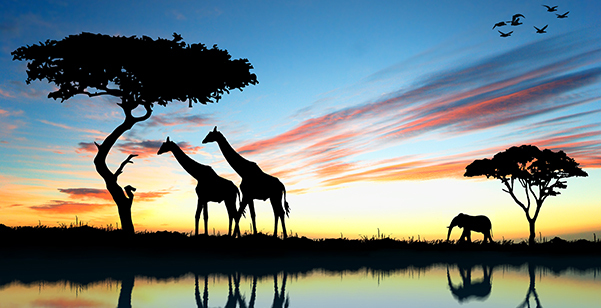 The park has over 105 species of mammals including 8 of large carnivores and 19 of large herbivores. Breakfast, lunch and dinner included. Overnight in Hwange. In the afternoon fly in a light aircraft to your lodge on the shores of Africa's second largest man-made lake, 282 km long Lake Kariba. Zambia's undiscovered Riviera. 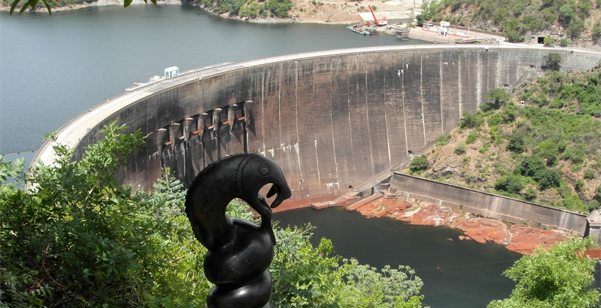 The Kariba Dam provides hydroelectric power for Zambia and Zimbabwe. 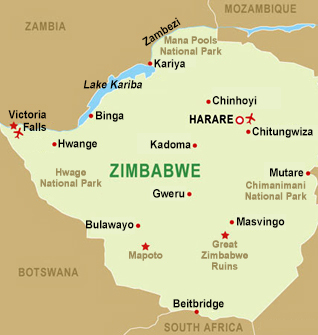 The flooding of the Gwembe Trough below the Batoka Gorges of the Zambezi River formed Lake Kariba, above the dam. Over 50,000 members of the Batonga tribe had to be relocated before the flooding and over 7000 animals were rescued and relocated. Breakfast, lunch, in-flight meal, and dinner included. Overnight in Lake Kariba. The lake has many islands and grazing land providing habitat rich in wildlife. Explore all the ways of game viewing from walks, horseback rides, and boat trips on the lake, to fishing for the famous tiger fish or bream. Breakfast, lunch and dinner included. Overnight at Lake Kariba. After breakfast fly back to Victoria Falls to connect with your flight to Johannesburg. Breakfast and In-flight meal included.